According to the Kiwis, winter officially starts on June 1st. And although we've had some f-f-f-freezing weather (from an African perspective, of course! ), I'm happy to report that June has been sunshiny and mild so far. So hopefully that's a good sign? Anyway, here's how our running has been going in May. 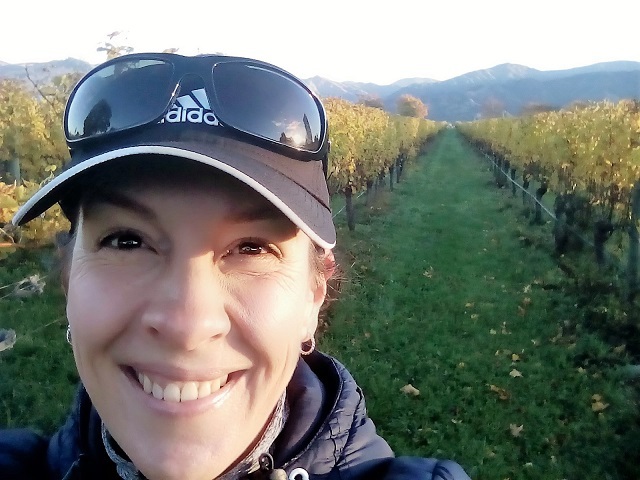 I had the privilege of visiting New Zealand's South Island for the first time last month. Running the Saint Clair Vineyard Half was a dream come true and hopefully the first of many trips down south. My ferry ride there and back was, however, a different story - it literally took me two whole weeks to recover from it...! Note to self (and fellow motion sickness sufferers): Next time take the plane! Guys, I walk a lot. A lot! So much so that I've sent my beloved Asics Nimbus 18s to an early grave... Boo! I've never had the desire to monitor my steps with one of those fancy step counters before, but recently I've wished I had one just to see how much I move every day. I think I'd be surprised! Miss K and J Bear's school drop off and pick-up takes about 6 to 8 kilometers each day, depending on the route I take. Plus there's additional walks to the shops and play parks. And that's not counting the running miles! But I can honestly say that I love what's become our morning and afternoon walking rituals. What a feast to be able to walk wherever and whenever we please in complete safety. Plus I find that starting off the day with a brisk walk just sets me up well for the rest of the day. I'm determined to keep on walking even when we get a vehicle! That said, I clocked a total of 67 running kilometers during May. Will and the kids treated me to a stunning new pair of full-length running tights for my birthday. Miss K picked them out herself and I absolutely love them! I also can't even begin to tell you how useful they've been. Man, parkrun mornings are nippy! I literally give thanks for my cosy calves ten times a kilometer. Such an awesome birthday gift! I've had so many incredible runs in May. 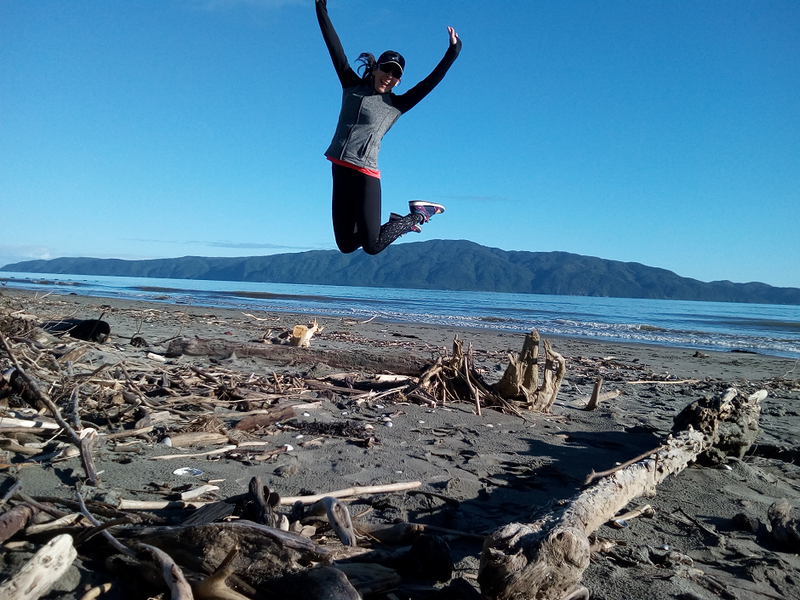 After a few months of heading to the riverbank for my running fix, I've re-discovered the beach and just can't get enough. I cherish my solo sanity runs these days and the beach's breathtaking beauty just adds an element of serenity that's hard to describe. These runs have become essential to my sanity! 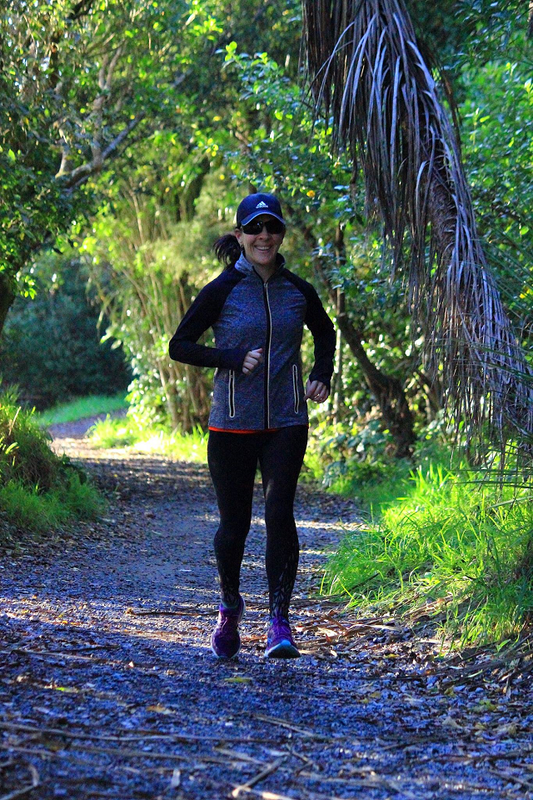 Thanks to the generosity of inspirational running buddy Madelene Loots, and the lovely Rachel from Inspired Health, I've received a free entry into the Wellington Marathon 10K race on 18 June! As you know, I have some unfinished business with the 10K, so I'm going to give that sub-50 one last try. Fingers crossed! And that's it for May! How's your running going? Any highs or lows you'd care to share? Indeed a very good may. I cannot believe how far we are: here summer is coming and there..... winter. SA and NZ are always in my impossible dreams (because my wife is scared of travelling by plane). Ahhh, I might just be a little jealous of your summer that's starting now...!